OnePlus is known for making great phones with great specs at great prices, but as we all know by know, specs don't quite paint a complete picture. Case in point: the last couple of OnePlus phones couldn't quite keep up with their high-end competitors when it came to one key aspect – camera performance. Will the new OnePlus 6 deliver results to match heavyweights like the iPhone X and the Galaxy S9? We don't know yet, and we won't know until we put the OnePlus 6 through a proper camera comparison. Until then, however, we have a full gallery of OnePlus 6 photo samples to check out. These are official camera samples provided by OnePlus itself, demonstrating what the phone's dual camera setup can deliver in both daytime and low-light conditions. There's a bunch of portrait shots as well, with creamy, blurry backgrounds bringing the subject to the front of the frame. 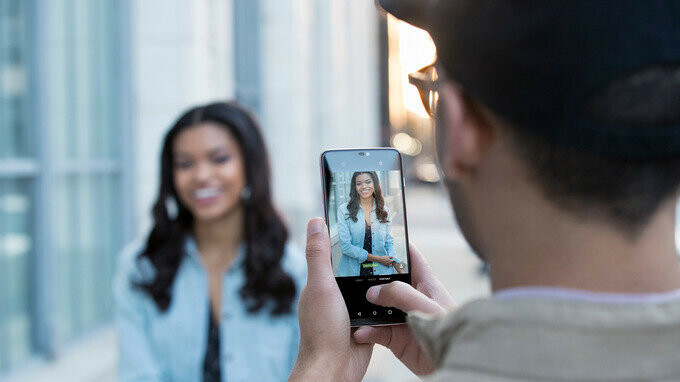 As a reminder, the OnePlus 6 has a dual main camera comprised of a 16MP main shooter backed by a 20MP secondary cam that enables Portrait Mode. Optical image stabilization is making a comeback, while individual pixels on the main cam are now larger – a recipe for improved low-light performance. The OnePlus 6 is set to launch later this month – on May 22, to be more precise. To learn more about it, head over to our in-depth OnePlus 6 hands-on post. The fact that there are only 2 pictures in low light means that the performance isn't good enough. Looks good for the price. Shame about the battery. Yes, you can make it run longer, by throttling down the speed of the phone, but that kind of defeats the purpose of buying a high-end fast phone in the first place. What about the battery? Has the same size as the 5t, and I got great battery life from that, about 8 hours sot. If you need more than that, you have bigger problems than a battery. More like 5 hours in the real world. Nobody gets 8 hours unless you're doing something odd, like constantly making every effort to manage battery life, people don't actually do that. They're too busy getting on with their lives. OP5T here btw. Nope. Did nothing special. Stock rom and kernel. Used the phone as I do any other. Of course I don’t do social media or social media apps, or play many games because I’m too busy getting on with my life. If you only get 5hrs, you might have something odd going on. There are LOTS of people experiencing 8 hrs sot. Yeah, when I had the OnePlus 3, I consistently got 6-7 hours SOT. So I definitely don't see 8 hours SOT being out of the average range for OnePlus. They seem really great with software optimization. OnePlus has had the best battery life in my experience. Them and HTC with the HTC U11 have been optimized quite well. Add the fastest charging out. No complaints. Isn't that what flashes are for? With OIS on board this will finally have a serious camera. At least a better camera than the last one. I don't care much about any press release photos from OnePlus. They are going to cherry pick images that look the best. I want to see reviews from the tech blogs to see what happens when the camera is really put to the test.